It’s crazy to think how quickly the holidays are approaching. Thanksgiving is only a day a way, and Christmas is less than a month away. This all means, it is time to kick it into high gear for holiday gifts. 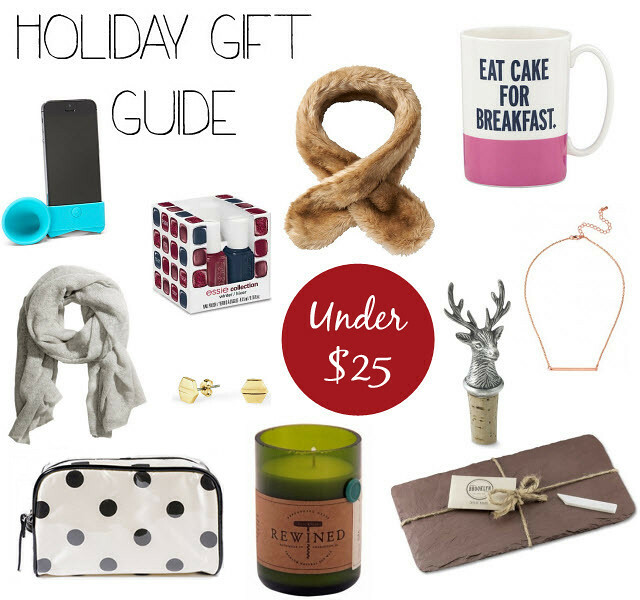 I already shared one holiday gift guide here and today I am sharing gift ideas that are all under $25. It is full of fabulous finds that I am sure any of your loved ones would be more than happy to receive.